Adhesive Vinyl: Transform high-traffic floor areas into attention-grabbing ad spaces with 4mil Floor Graphics. Our removable Floor Graphics are ideal for interior applications on most dry, clean and untextured floors. Fabric Banners: Perfect for wall décor, POP displays and more, this lightweight poly/cotton matte Canvas looks great mounted or framed and is also easily rolled and shipped. Hems, Grommets and Pole Pockets options are available for additional ease in hanging. Banners: Full-color vinyl banners offer a high-impact, hard-to-miss means of getting your message out to the world. Grab attention at events, grand openings, and trade shows. Durable enough to be used inside or outside, banners are a versatile source of marketing muscle. • Announce a sponsorship, upcoming event, special sale, or exciting new product. • Place vertically oriented banners next to each other to create a striking visual display. • For a professional look, consider pole pockets to mount your banner to a free-standing display. Korokards are oversized greeting cards, self-standing, water-resistant, coroplast cards that are cut and folded in half. Send grand greetings, announce promotions, show the new "big" menu and leave a HUGE impression! Korokards KrazyKuts: In addition to being self-standing and waterproof greeting cards, KrazyKuts offer you custom cutouts. With your imagination and creativity you can make your clients' wildest dreams come true with pretty much any shape of Giant Greeting Cards! Large Posters: 12pt C2S Posters are an economical paper option with good strength and durability for applications where rigidity is important. They can be used to print indoor signs, banners, and P.O.P. items. Mounted Canvas:High quality prints on 17mil Artist Canvas printed and mounted on light and durable stretcher bars. These prints can be used as gifts or business and photography applications. Available in different standard sizes. Window Graphics: A 6mil white flexible vinyl front with a clear removable acrylic adhesive back. This perforated window film is designed for production of see-through graphics for windows. Recommended for use on flat vehicle windows or retail store windows. 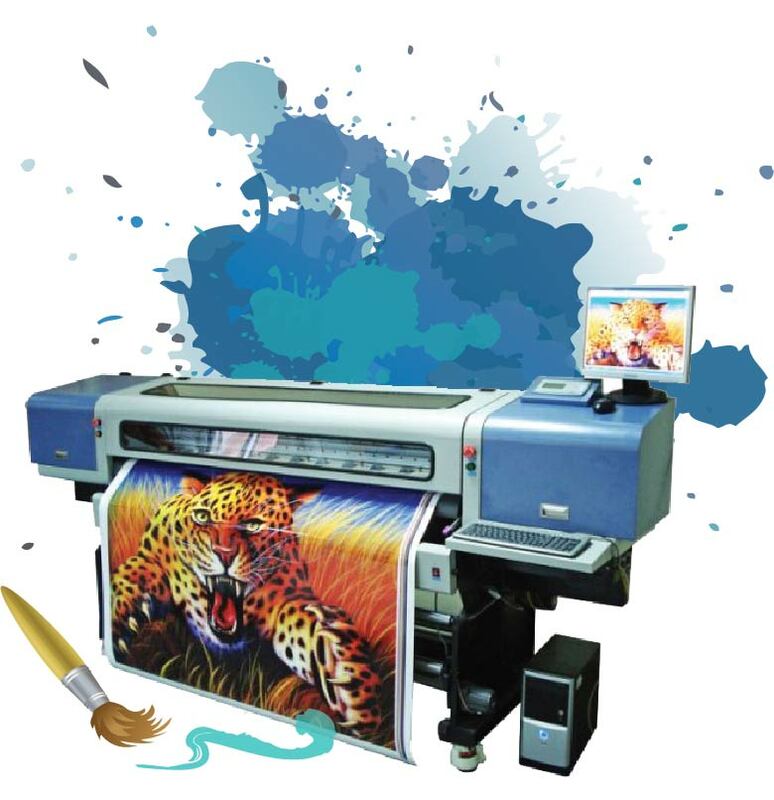 Beyond great digital printing and color copies, Megatron Print is Chicago’s wide format graphics specialist. For fine art and event posters, show stopping banners, POP displays, signage, tradeshow graphics, or vehicle wraps, Megatron Print delivers.